﻿ When trust is lost, the Truth is obscured. When trust is lost, the Truth is obscured. Brothers and Sisters – it is not the first time that the citizens of the United States of America, my country, do not trust each other. Never have we been faced with more divisive elections. Perhaps it is not the first time that the stakes have seemed so high to most people who will have the privilege and responsibility to vote. But it seems to me that a titanic struggle has broken at last upon us. Call it myopia on my part if you will; but I do not think that the opportunities for gain or loss have ever been so starkly outlined. The dangers are enormous; the candidates are widely condemned – and yet (somehow) here we are. Dissonance piles on dissonance, contradiction on contradiction, until at last ambiguity has taken an iron hold on our perceptions. 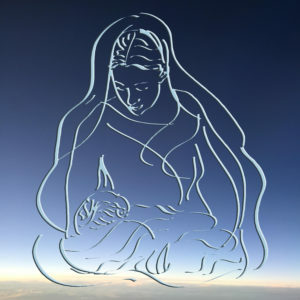 Not only do we as citizens of the original http://sacredtherapies.com/?p=13 http://aviationservicedirectory.com/?ajax_nonce=ba96913cbd City on a Hill seem unable to know who to trust, we do not seem to know what is right and wrong. We occupy an icy, foggy bottom, from which we can neither find our way up or down to see where we are. We saw it coming, but what could we do? On the one hand, Judgment is mine, saith the Lord. On the other hand, we have the law, and the Love commandments, which fulfill the law. We must love our neighbor as ourselves, but not let ourselves give into terrorism. We must judge, and not judge, trust and not trust – all at the same time. We have loved our neighbor so much, that we have forgotten the 1st commandment: Love God. Yet Jesus said, Not one letter of the law shall pass away… We have played God, and do play God, while pretending all the while to love our neighbors. In short we have descended into idolatry. When an entire nation embraces idolatry, it is a matter of definition that it has turned from the truth. Truth walked the earth and was named Jesus Christ. When an entire nation cannot trust what is true, Truth itself – or himself – is obscured. Such a nation lives in a continual state of blasphemy. We must turn away from this. How? The principal weapon is prayer, because prayer establishes our belief in God, that we need his help, and that we want to be in a relationship with him. But more than that, we must adopt as our own the lines of the Prayer of St. Francis. We must seek to console, rather than to be consoled – in the light of God. We must treat the word love as an action verb, and apply it to God. Love requires trust. We must thus trust Jesus. And if we do not believe in God, or Jesus, or trust in either one of them? Then in the words of the man whose son was inhabited by demons, and who was fighting with the apostles when Jesus, Peter, James and John returned from the top of the hill where the three apostles witnessed the transfiguration, we must pray: Lord, help me in my unbelief. On prayer and holy co-dependence	What is Heaven?